Any business coach will tell you that employees are the backbone of every business. Employees help you reach your business goals by lending their expertise and fulfilling their responsibilities to the company. Hiring plays an important role in every company as it acquires top-notch employees who have the necessary skills, expertise and experience to push your business. HR departments play the important role of seeking out and hiring employees for the company. The recruitment process aims to filter and find suitable candidates for the job. As such, its failure will mean you’re not getting the best quality employees for your business. As part of your business process improvement, work with your HR department in developing a streamlined and effective recruitment process. For starters, know what NOT to do when recruiting resources. Check out these seven pitfalls every company should avoid when hiring employees. What are the daily tasks and tangible goals of the job? What exactly is the post all about? These questions and more should be answered by your HR department when dealing with prospects. Give a clear explanation about what the job necessitates and what the company expects from them. While competence and experience makes for effective employees, never forget to factor in attitude and work ethics when recruiting talents. Experience and skills don’t matter much if employees don’t have the right attitude towards work. Look for conscientiousness, resourcefulness and genuine passion in candidates. Abstract and playful questions might give your HR department ideas about how candidates think, however interviews should focus more on probing candidates about how they do their job and their suitability to your company’s culture. Job interviews should delve into what candidates can bring to the table. Additionally, never ask Yes or No questions. Instead, make them share their thoughts by explaining their positions and opinions. Hiring too slowly can make you lose potentially great employees as they might get snagged by other companies. Hire too quickly and you’ll miss on important details such as in-depth background checks, proper turnover of files and documents, etc. Find the sweet spot for your industry and set a timeline for your recruitment process. Your recruitment process should adapt with the times. Recruitment is not just about posting a job opening and filtering out potential hires anymore. Now, it’s about actively seeking out great candidates and learning about their competencies. After all, if your recruitment process is lagging behind your competitors and other more aggressive businesses, you’ll end up having to settle for second best.. Many employers make the mistake of being thoroughly impressed by a candidate’s resume and skip basic checks and background research. During recruitment, research a candidate even before the initial interview to learn about them and know what questions to ask during the interview. Competencies and experience are often not enough in making them part of the team. The onboarding process ensures that both your company and the new hire are on the same level. Onboarding is about making them fit for the job and introducing the company culture. Hiring is one of your HR department’s most important functions. Steer clear of these pitfalls and develop a recruitment process that will help your company acquire great talents and skilled resources. Need more business process improvement tips? Want to know what aspects of your business you can improve on? 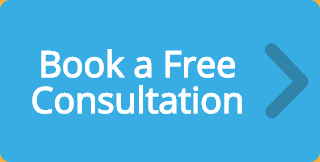 Schedule a FREE, no-obligation consultation with our business experts.